Mitzpeh | Backman’s Corner: Why do we only use three matzot during Passover? Backman’s Corner: Why do we only use three matzot during Passover? So why do use only three matzot during the Seder and not four? wine has a good taste and we enjoy consuming it. We buy wine based on its taste and what we are in the mood for drinking, or how well its taste pairs with a certain food. On the other hand, matzah has no taste and we don’t eat it for pleasure but because we have to on Passover. In our relationship with G-d, we find there are things we have to do because G-d said so (i.e. fasting on Yom Kippur), and then there are things we can connect with easily and enthusiastically do them (i.e. celebrating Purim and Hanukkah). The moment the Jewish nation was born was when we left Egypt. We left full steam ahead to Mount Sinai to interact with G-d and learn how we, as the Jewish people, would live our lives. Our relationship with G-d also changed from our time in Egypt to the time at Mount Sinai. In Egypt we were not all deserving to be freed from slavery as many of the Jewish people were not living their lives the way they should have, but G-d took us with kindness in any event. It was a redemption from above. Then our preparation for Mount Sinai helped us reach a level where we could interact with G-d in a real and desired way. As we worked on refining ourselves, we became more in tune with G-d and Judaism and came to appreciate who we were. This created a sense ownership and desire in our relationship with G-d. If you look at the first three expressions of freedom quoted in the question, you will see they are G-d driven: “I will release you… I will save you… I will liberate you…” Unlike the last one, “I will take you unto Me as a Nation,” which emphasizes our involvement. We have to become that people for G-d. It demands an action on our side to become G-d’s wanted nation and partner. When we do something we enjoy, it tastes good. It is something to which we look forward and of which we take ownership. On the other hand, when we don’t understand why we are doing it or it is being done for us (or maybe even by us) just because we have to, then we have no excitement or desire in the act. At the beginning, G-d took us out of Egypt because G-d felt it was the right and kind thing to do. We are appreciative, but not yet engaged, and that is represented by the matzah; substantive but with no taste. As time went on and we came to appreciate and realize what we were getting by becoming the Jewish people, we become engaged and involved. That is represented by the wine; it tastes good desired and is pleasurable. So we have three matzot because they are the beginning three steps of our interaction with G-d. When we move to the fourth step, which is a new level of our interaction, this is wine, so we have four cups of wine. I think wherever and however you do your seder or your Judaism in general, you should pay attention to this theme. While at the beginning things may not make sense or be ‘fun,’ keep going. Ask, learn and involve yourself…hopefully it will change and so will you. You will find meaning, taste, ownership, purpose and ‘fun’ in Judaism. 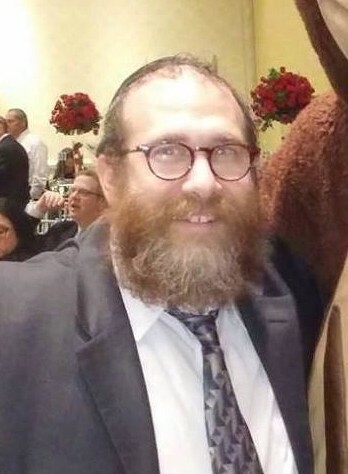 Eli Backman is the rabbi at UMD Chabad and can be contacted at chabad@umd.edu. Backman’s Corner is a monthly column alternating between an opinion piece and an ‘Ask the Rabbi’ format. No Replies to "Backman's Corner: Why do we only use three matzot during Passover?"